Clients turn to Experience Dynamics as a trusted partner, differentiated by our deep, practical expertise and excellence in rapid delivery of user experience consulting. We are strong user advocates and global leaders in user experience, UX training and User Centered Design methodology. Today our interface design work touches over 415 million users worldwide. And we feel like we’re only beginning to realize our mission of Making Your Users Smile! Contact us using this form to see how we might partner with you. Extensive experience with Business to Business (B2B) and Business to Consumer (B2C) user experiences such as enterprise grade web applications and sites, portals and Enterprise Resource Planning sites. A range of platforms including Responsive Web Design and Mobile apps and sites; we have worked with complex Web Apps, thick and thin clients. We're even helping clients with new Virtual Reality and Augmented Reality design and UX challenges. A range of product types from physical products to Software as a Service, informational sites, services, software, business process as a service. A range of user types from home owners to difficult to reach "C" level users, nurses, CMO's, Directors, Sales Traders and disabled users of every type (blind, mobility, cognitive and hearing impaired). A global footprint, with studies and companies in 27 countries including Australia, Brazil, Canada, China, Chile, Denmark, Finland, France, Germany, Greece, India, Ireland, Israel, Italy, Japan, Kenya, Mexico, New Zealand, Norway, Poland, Russia, Spain, South Africa, Sweden, Switzerland, Turkey, UK and nearly all 50 US states. A variety of business challenges including promotional sites, informational sites, branding, ecommerce, lead generation, publisher sites, catalog sites, gamification, social experiences, Intranets, HR sites, CMS's, enterprise collaboration, 3D interfaces, Accessibility and Independent Software Vendor web and mobile apps. View our case studies to see how we boosted revenue 400%, and increased conversions 83%. Get in touch if you would like to discuss working together on your project. Great design starts with listening and observing. The biggest design tool you can leverage from this user research is empathy. The more empathy you transfer from day-in-the-life studies to your design, the higher the quality of your software. Our field studies create personas (Latin for "mask"). Personas provide snapshots of your user personas or roles, goals and tasks. 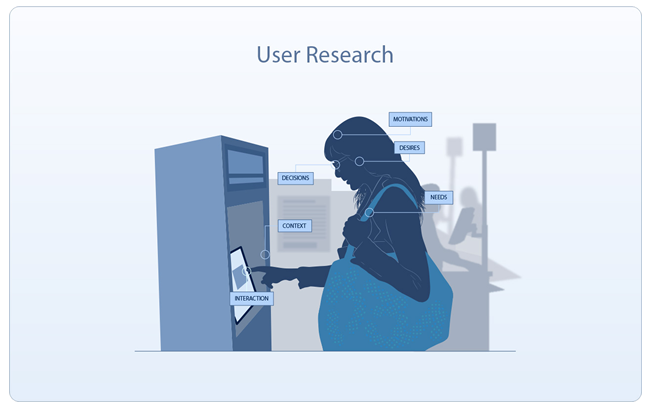 User research answers the big questions: Are we providing the right features? 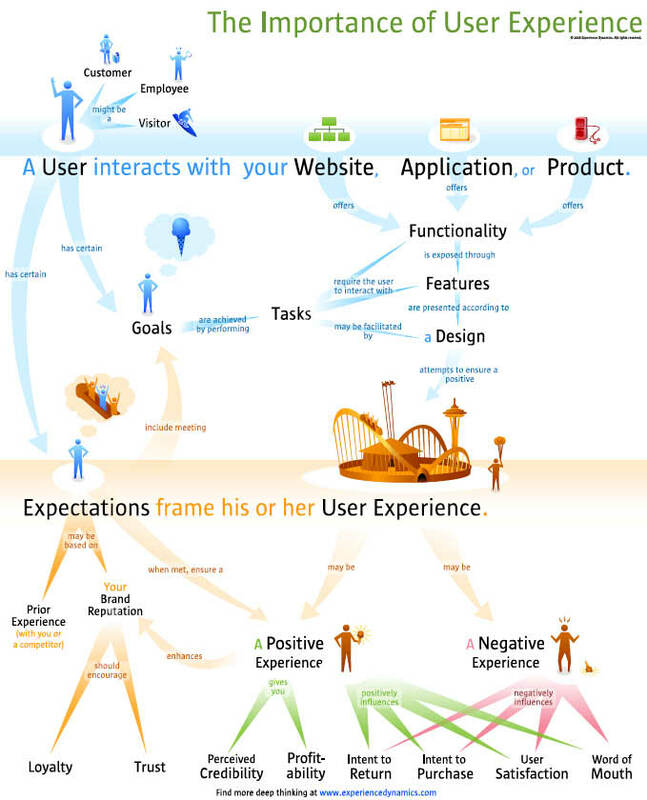 ; Do we understand user goals? 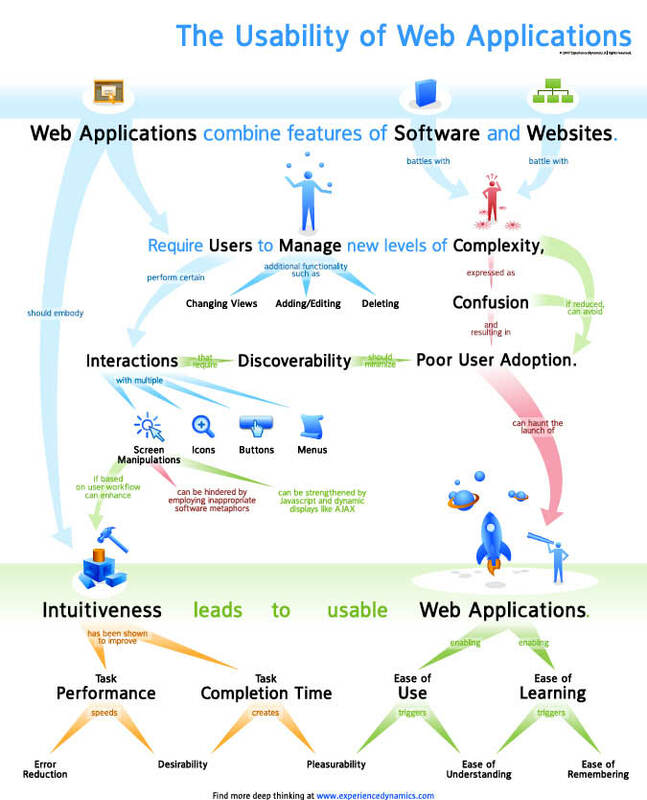 ; Does our functionality flow the way a user wants to work? ; Is our content compelling and emotionally impactful? Field Studies: What does user want? 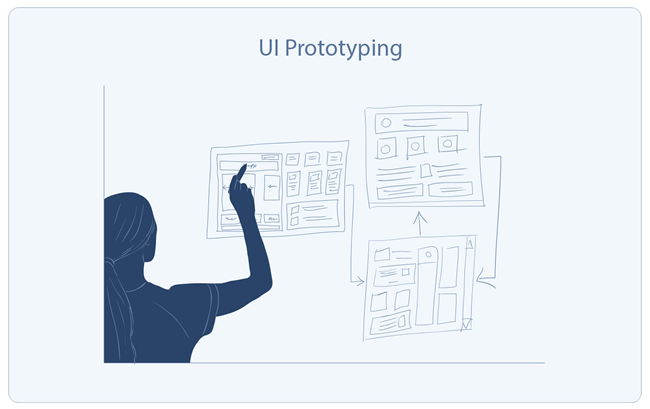 Prototyping forms the foundation of good Interaction Design. User Interface (UI) ideas and workflows, features and functionality should never be coded to test them. Instead create rapid throw-away design concepts that show how a user will interact with content, navigation and features. Our wireframes follow a Task-oriented Design approach. We like to say "Task is King". Since tasks are how usability is measured, they become the currency of design. At the heart of Interaction Design are the following questions: How should we best support user's tasks? ; What paths and sequences make the most sense for the user and the business objectives? ; What usability best practices should be included in the wireframe blueprint? The bread and butter of UX. 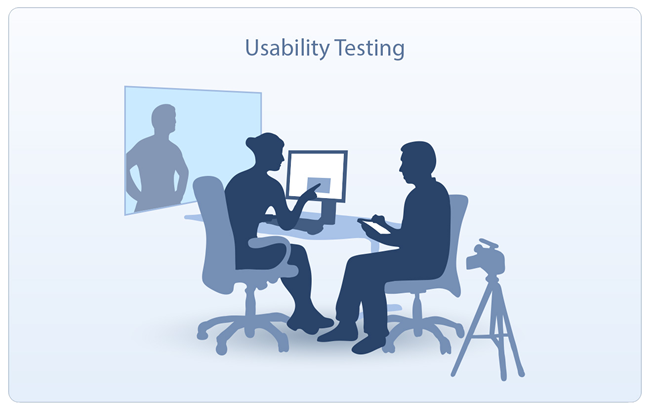 Usability testing helps you validate your ideas. Unlike a focus group, usability testing takes the format of a user actually interacting with your design without any intervention. User tests give you a window into how a user will actually use your design, over what their opinions are about the design. Usability testing answers these questions: Is our design working for our users? ; Do users know what to do and how to do it? ; Are there any glaring usability issues, errors or confusions we should know about? ; How well are our design concepts or ideas performing for users? Can your users figure out what to do your design? Can they interpret buttons, menus and other elements on the screen? Is it easy to perceive what to do without requiring training or help? Reality is perception. If your users can’t find a control, change an aspect of the display or simply miss a button, menu or rule, you will be stuck with a poor UX. The design reality is that users don’t “see” well meaning design elements on a screen. Instead they are driven by desired needs, goals, tasks, or content and miss the interface element you’re expecting them to interact with. All technology projects necessarily adjust to business or technology constraints. Why not adjust to the cognitive limitations of users? For example, users don’t read on screens- instead, they scan content. On mobile devices, studies show users comprehend 50% less of what they read than on desktop displays. Why? Context of use determines what’s perceivable: Small screens, on the go, in the moment, multi-tasking... all of this means less cognitive bandwidth. By approaching design problems from the cognitive limitations of users, with perception being one of the central requirements, we can create cleaner, clearer, and more actionable designs that require less interpreting, less instructing, and less need to perceive an interface element. Instead of requiring users to perceive your interface, make it intuitive, apparent, visually bold, standardized, and discoverable. Ask users to focus on too many design elements and you’ll run the danger of overloading them. Classic mistakes? Too many colors; too much to interpret; too much to read and too much ‘eye candy’ to take in. Intrinsic Cognitive Load involves the information and elements involved in learning and completing a task. This is how we naturally solve problems and make sense of things. It’s how we normally go about completing a task regardless of interface. Extraneous Cognitive Load is how much interpreting your interface forces your users to do. This means how an interface is presented and what extra thinking is required will negatively affect learning, thus impact a user’s ability to successfully complete a task. Complex interfaces are symptomatic of extraneous over-loading. Germane Cognitive Load is the available problem-solving bandwidth users have to work with. The more we reduce interface complexity (extraneous load) the more users can use their built in ability to manage a task. To get a good amount of this “good” load, tasks that require high intrinsic cognition should have a low extraneous load so that the user can concentrate on the problem instead of burning cognitive bandwidth. If the Germane Cognitive Load is decreased, users will no longer find joy in using the computer product because they’d have to deal with too many extraneous elements. Chunking tasks is also a good way to lower the cognitive load of software. To do this, dividing complex information into smaller parts is recommended. Memory -- or the human capability to remember, recall, and recognize -- is a classic cognitive limitation that designers ought to account for when designing their interfaces. Accounting for memory deficits, designers will be able to create interfaces that offer a good UX. Updates to Miller’s classic 1967 study, which states that we remember 5-9 things at any time, have shown our ability to remember short-term is closer to 4 items at a time (Cowan 2001). Memory’s role in your design is not trivial. It’s at the heart of information processing. In UX, users first perceive a design element (information). It is then stored in the short-term memory. The first type of storage has to function as short-term “working” memory, and once understood assimilated, will be encoded into long-term memory. Remembering involves perception, sensorial memory, attention, working memory, elaboration, long term memory, and then response. If a design is too complex or requires a lot to remember (too many sub-steps, too many controls), users will discard the information and store only pieces or overall impressions (if any at all). Time decays storage, so if your design is used infrequently, it will require more memory from your users. Designs that are sensitive to this requirement will be more successful in getting users up to speed faster and with a shorter “learning curve”. When something seems familiar, we are more likely to feel more comfortable. In fact, we gravitate toward familiarity. Underlying our pattern detection and matching capabilities is the need to learn less. Consistency and recognizable patterns reduce learning. To illustrate this, think of the comfort a ‘back’ button provides in the browser. Take the back button away (like Web applications used to do several years ago), and users will panic. Removing a ‘home’ link on a Web page can do the same thing. 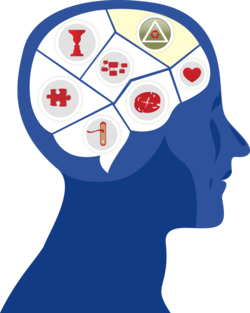 When users find familiarity in interface patterns, studies show that a positive match activates dopamine, the feel-good brain chemical associated with reward (Lehrer 2009). When you fly for the first time it is a very different experience than repeat flying. Checking in, finding your gate, going through security and boarding the flight area all part of the mental model for flying. Frequent flyers have expectations and assumptions that are so ingrained they don’t think twice about what the right behaviour is for flying. Not so for infrequent flyers. We create mental models to represent our knowledge, intuition and expectation of what a design will do or how it will work. By creating an internal representation of what a design does, mental models help users orient, navigate, and enhance problem solving. Good interfaces do not force users to create or drastically alter their mental models, but instead piggy-back on the mental model a user brings to the design. They also help users understand their tasks and workflows quickly. This means that there are no negative surprises, and clear answers for the questions a confused user might have: “How does this work? and “What can I do next?”. How do your users know what they are supposed to do with a design element? There is a classic example -- door handles that either push or pull (panel or handle). If an element indicates a direction (push to open) but goes in the other direction, it is said to have a weak affordance. What users assume or interpret is based on what a design “affords”, or tells them about its intended use. Affordances are perceived as much as they are real. Good affordances help facilitate smooth interaction. They provide visible cues as to their operation. Your design affordances can be strengthened by using controls that are based on standards (UI Style Guides) and by following usability best practices. When in doubt, test the sensibility of your design affordances by validating your design with user testing. Neuroscience today is showing us that emotion is integral to all decision making and thinking. Logic and reason are influenced by emotion. How frustrated or confused a user gets with your design impacts the usability, or user satisfaction. The more negative emotions a design generates, the more likely to cause “interface friction”. Emotion plays a vital role in UX. In a competitive environment, you want a design that is compelling, that invokes loyalty, delights users and generates positive responses. In addition, by taking an emotion design approach to UX, you can use emotion as a design variable to enhance user interaction, social UX and engagement with a design. Emotion in UX is now measurable and that means putting a smile on your users face is a very real goal that many teams are looking to use strategically. 30 UX Statistics You Should Not Ignore!